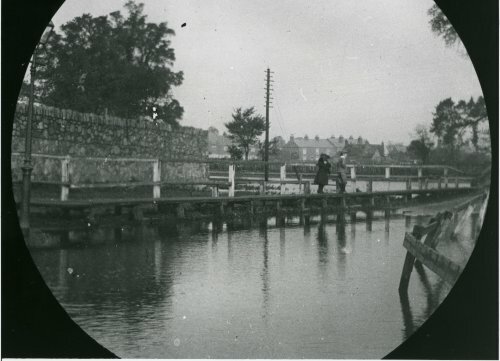 Children on causeway looking from School Lane towards the river c1920s. The granite wall on the left has gone. Beyond the children and round to the left is the Stafford Orchard.